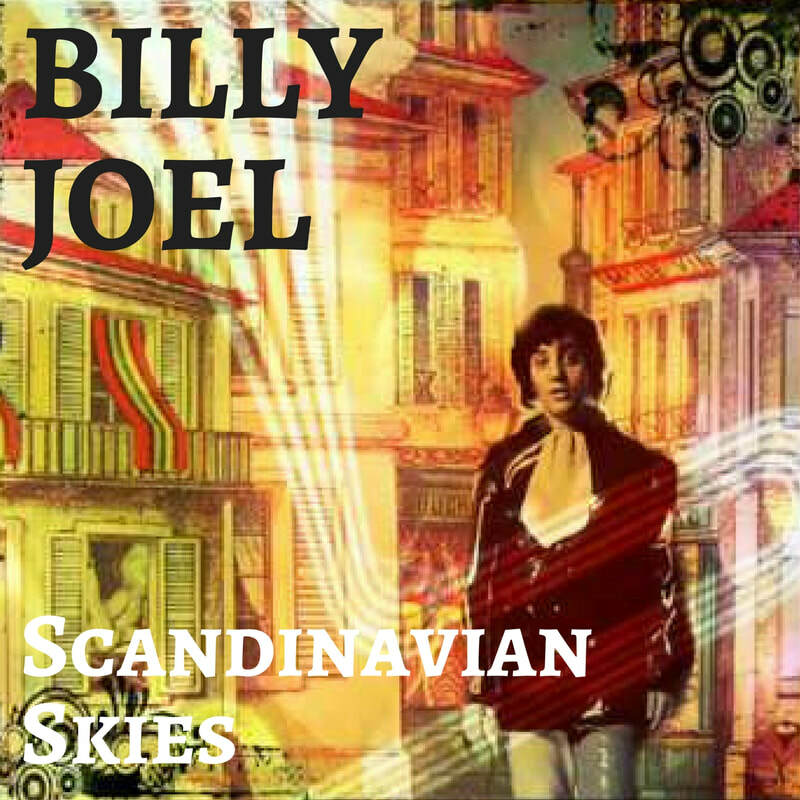 "Scandinavian Skies" may be Billy Joel's most ambitious and surreal song. It is a moody, ethereal work, sort of a combination of the Beatles' "Tomorrow Never Knows" and "Norwegian Wood." Billy confirmed in Fred Schruers' Billy Joel biography that the song was written about or after an acid or heroin trip (in more ways than one) on an international flight from Norway which scared him. ​ The rolling snare drums throughout much of song lend it a march-like quality; this is a not just a trip, it's a voyage. "Scandinavian Skies" is one of the songs that makes The Nylon Curtain such an interesting listen. Put on your headphones and listen to the entire album. Billy on "Scandinavian Skies" from SiriusXM. Billydiscusses the origin of "Scandinavian Skies" on the Howard Stern program, at 6:25.
Who's to pay for this international flight? Who could say, what was left and where was right? 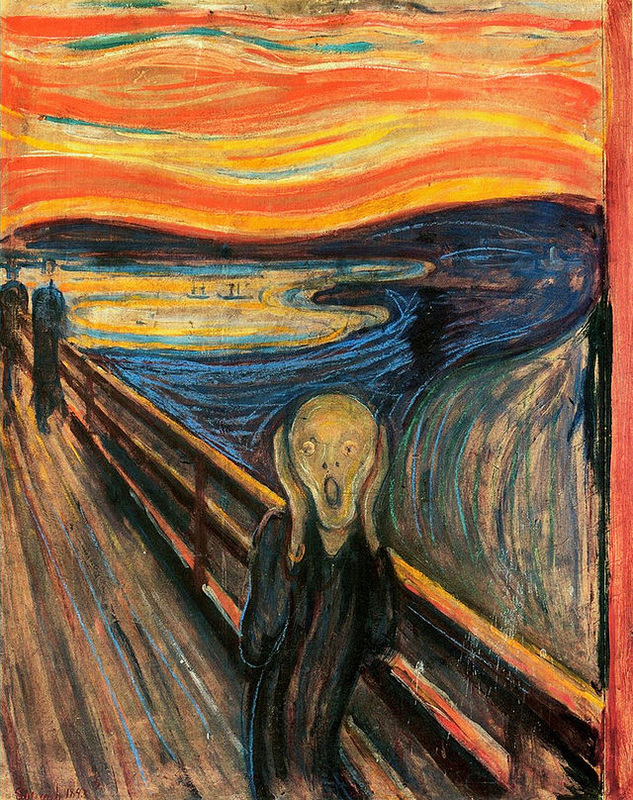 The Scream by Norwegian artist Edvard Munch. The Norwegian skyline looks like it is on fire. ​ I imagine that the Norwegian skyline that Billy saw on his trip looked something like the one depicted in Edvard Munch's famous painting "The Scream" (above right). And if he was on acid, he may have felt like the figure in the painting too. Fan video of "Scandinavian Skies." Great image, using a photo of Billy from his days with The Hassles in the late Sixties. © 1982 Sony Music Entertainment. This is a great live version of "Scandinavian Skies" from the 1982 concert video, Live from Long Island. Russell Javors and David Brown put their guitars down and take up the snare drums.